Here is a New AC Air Cleaner Decal Correct for your 1952 - 1955 Cadillac. The Red Lettering & Logo's are on a clear background. 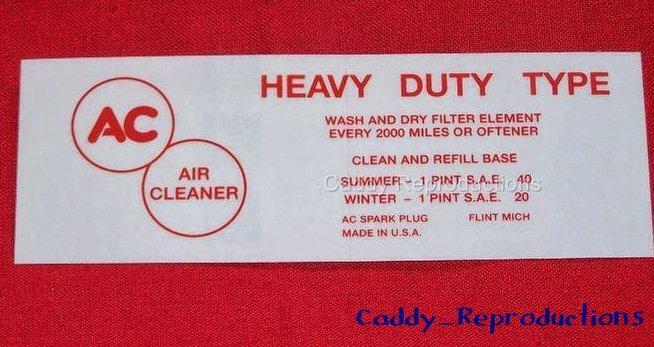 This is for Oil Bath Filters, we also offer the Dry filter decal in our store. We also offer The Air Cleaner in our Store.